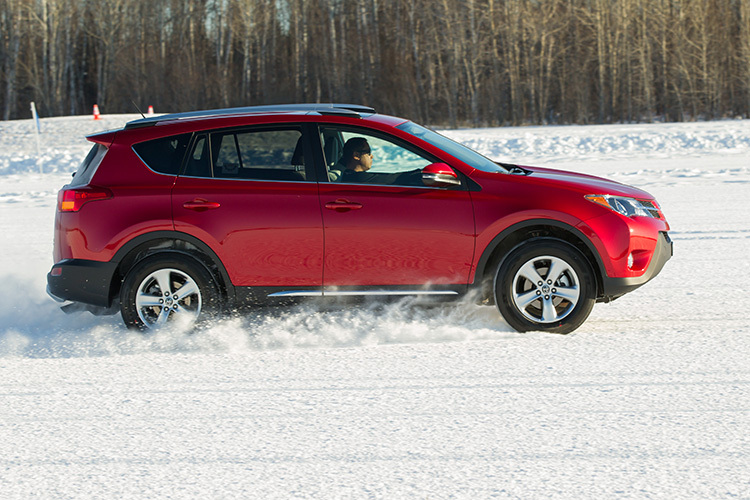 Follow these five simple driving tips to four-wheel safely in snow and ice this winter. 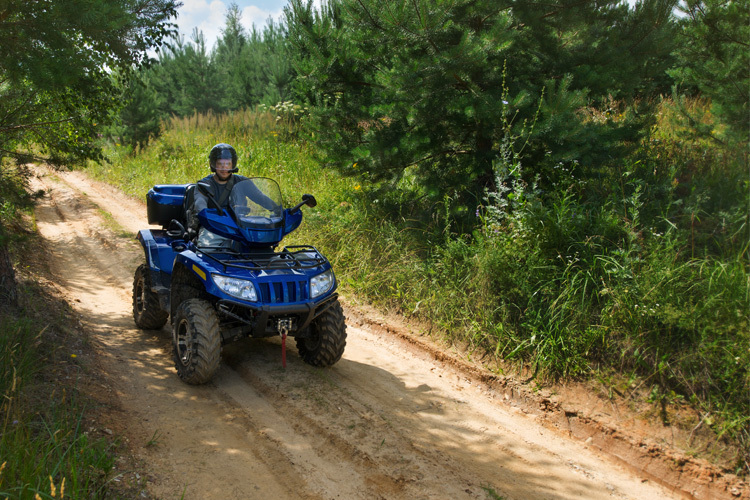 Photo Courtesy of Yokohama Tire Corp.
Just because there’s snow on the ground doesn’t mean your four-wheeling fun has to stop. 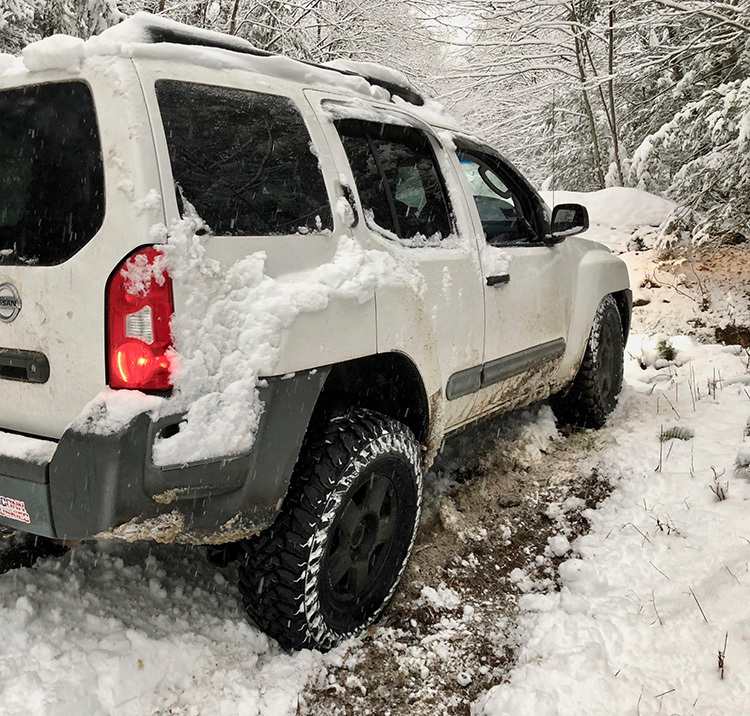 Four-wheel drive doesn’t make you invincible in the snow and there are certain things you should do to winterize your vehicle. 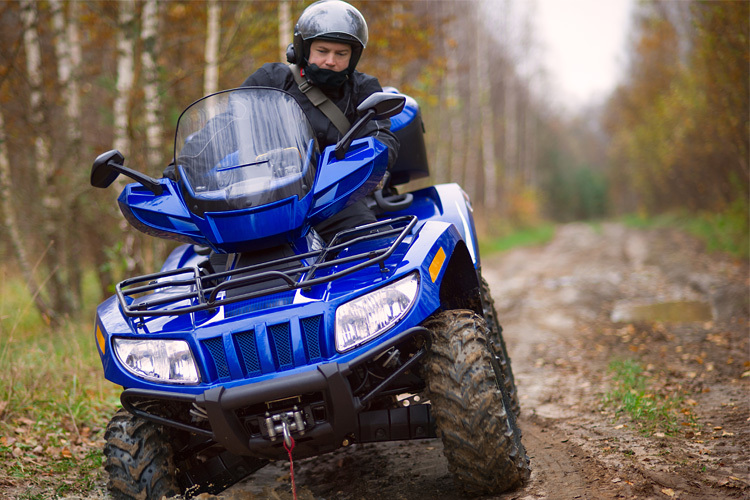 But the added traction that comes from driven wheels front and back, combined with the right equipment and winter-specific driving techniques, will keep you moving safely, whether you’re going skiing, to hunting camp, or back home again to dry clothes, a warm fire and a hot beverage. Here are five simple tips to safely drive your 4-wheel-drive truck in snow and ice this winter. Photograph Courtesy Yokohama of Tire Corp. Your tires will lose 1 psi for every 10-degree drop in temperature. 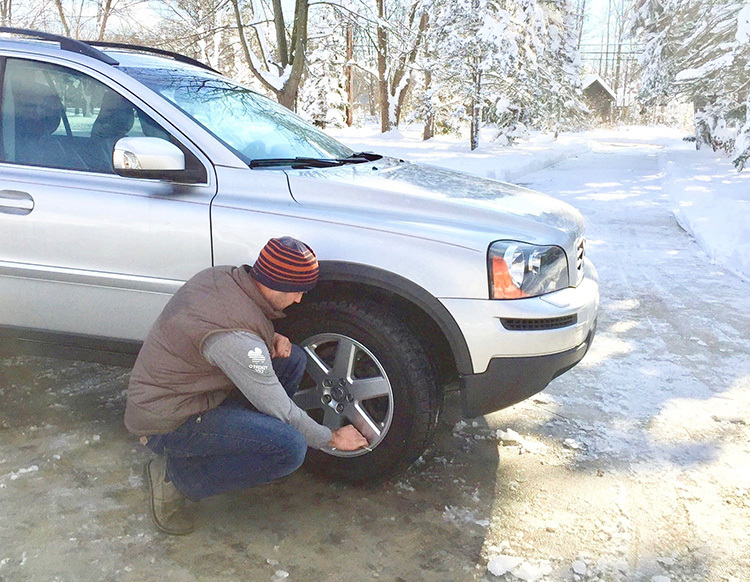 Keep a pressure gauge handy, and be sure to replace the valve-stem caps to keep snow and ice out of the valve. A frozen valve will leak air. 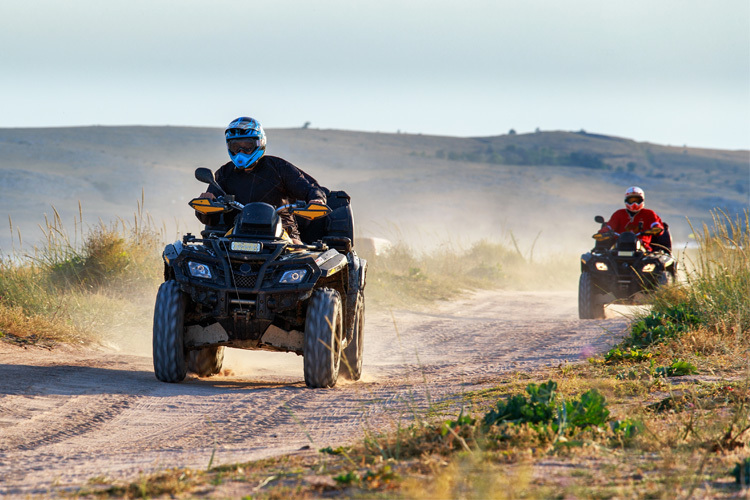 We have also seen four-wheelers fill their tires to higher pressures than normal, so that their tires would dig in down to the road bed below a covering of loose snow. Chose the technique that works best given the conditions. 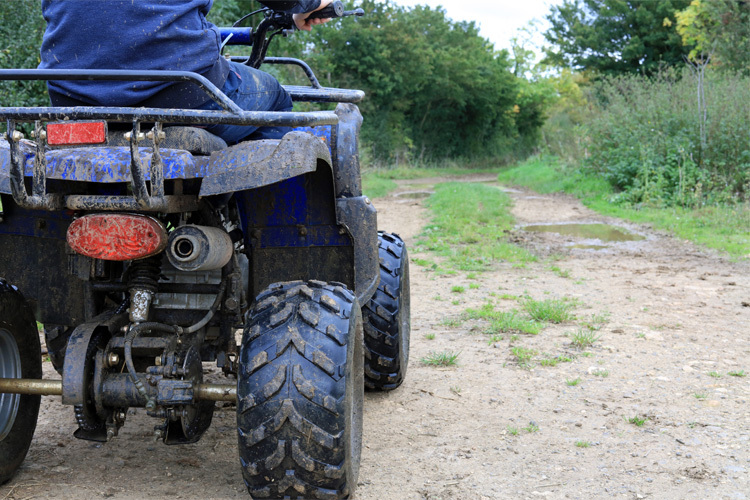 If you do air down, remember to air back up when you hit the pavement to prevent tire damage. Several tool makers, including DeWalt, offer inexpensive portable power packs with a built-in air compressor. This kind of power pack can also jump-start your truck should your battery fail in the cold. Students practice cornering at the Bridgestone Winter Driving School. Use just one control at a time—brake, turn, accelerate—to avoid sliding in a corner. Oversteer is when the truck’s nose turns further than you want it to because the rear tires have lost traction and are sliding toward the outside of the turn. Oversteer is caused by several factors, including going too fast into a corner or braking too hard before a corner. Turning the front wheels in the direction of the slide (counter-steering) will usually catch it; also, gingerly apply the gas pedal to help transfer the truck’s weight onto the rear tires, which will help them regain traction. Look in the direction of the slide, and be ready to counter-steer in the other direction in case the truck fishtails the other way. Understeer occurs when the truck doesn’t turn as far as you want because the front tires have lost traction. Excessive speed in the turn can cause this too, as can a too-sharp steering angle so the front tires are sliding across the snow’s surface and not biting into it. Do not hit the brakes, as this could make the slide worse. However, you do want to transfer weight over the front wheels to help them grip, so let off the gas pedal, and unwind the steering angle a bit until the tires catch. Driving experts at the Bridgestone Winter Driving School (see sidebar) recommend avoiding these slides by using only one of the truck’s controls at a time. Don’t steer and brake, or steer and accelerate. When a corner is coming up, let off the gas or use the brake to do all of your slowing before the corner, then coast through the corner so the tires are using all their grip just to steer. Once through the corner, gently accelerate back up to speed. Ice can form—and linger—anywhere that’s not exposed to direct sunlight. If a tree, large bush, even a bridge or overpass casts a shadow over the roadway, expect ice in that dark patch. Also watch for icy conditions on overpasses and bridges, even when the roads leading up to or away from them are clear. Wind blowing under the bridge or overpass keeps it colder than the road, as it’s not insulated from below like the ground-level road. 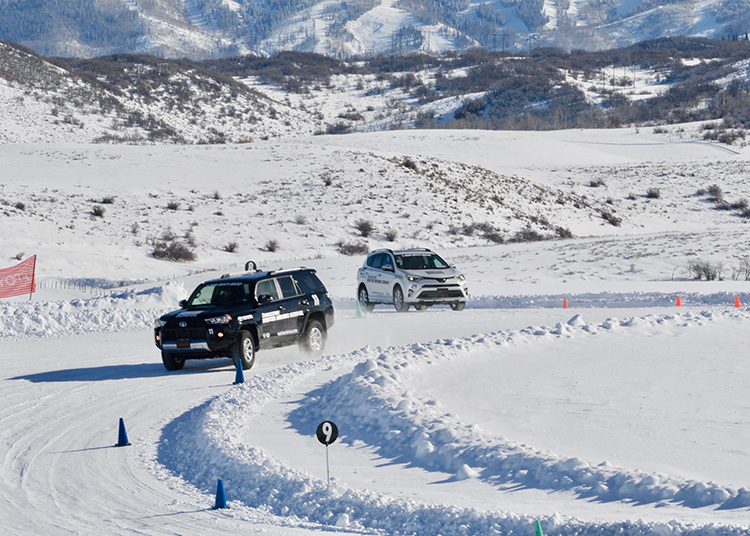 With three specially-designed ice tracks, the Bridgestone Winter Driving School in Steamboat Springs, CO, offers driving programs for all abilities. 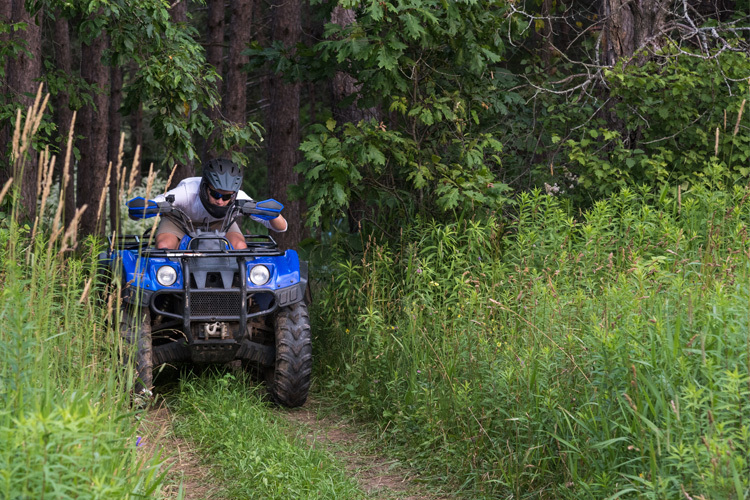 Learning how to drive off-road requires special skills. The Bridgestone Winter Driving School in Steamboat Springs, Colorado, teaches winter-weather driving techniques from basic car control to professional rally and drift racing skills. 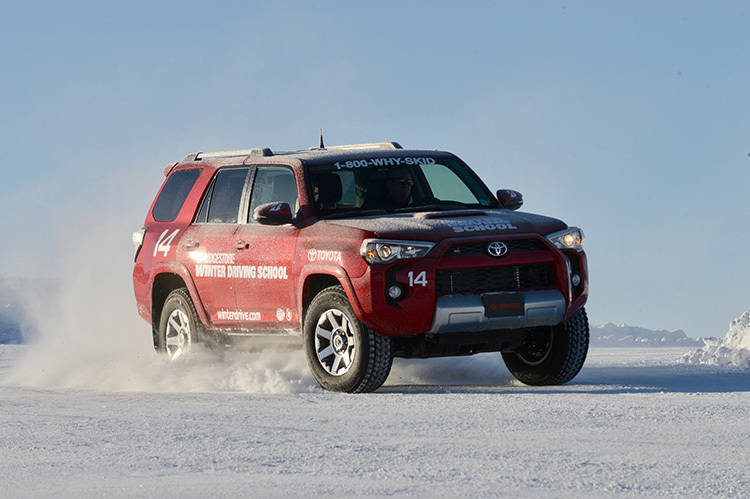 The school promises “real-deal” settings—Toyota vehicles modified only with Bridgestone’s Blizzak tires driving on an ice track—to immerse students in the actual conditions they will encounter in winter. Classes are held mid-December through early March and range from four hours to two days to accommodate students at every driving skill level, from absolute beginners to pro-level racers. Road conditions can change quickly during winter months. On a long trip, check the road’s slickness throughout the day. Road conditions can change quickly during the winter, even if it’s not storming. Normal temperature fluctuations over the course of the day can alter the traction on the road’s surface. Watch your truck’s outside-air thermometer. Temps just above and just below freezing make for the slipperiest conditions. Keep tabs on road surface conditions through this simple test: On an empty stretch of road with no traffic behind you, hit the brakes until you feel the wheels start to lock up. That will indicate how much grip the surface offers. Do this as the day progresses and temps or the weather change. Photograph Courtesy of Yokohama Tire Corp. Stuck? There are lots of ways to get free, from rocking the truck back and forth to using traction aids under the tires. Anything from boards to kitty litter will add traction where there isn’t. • If you have a shovel, use it to remove the snow from in front (or behind) the truck, depending on whether it makes more sense to go forward or reverse to get unstuck. • Rock the truck back and forth a little at a time, shifting between Low gear and Reverse, to get some momentum and free the truck. Don’t spin the tires, as that will dig the truck in deeper. • While rocking the truck, turn the steering wheel back and forth. The sidewall lugs just might bite where the tread can’t. • Help your tire’s traction by putting something solid beneath them. Purpose-built mats or ramps are best if you carry them. Otherwise anything from boards to floor mats, sand or kitty litter can help. • Rock salt, windshield wiper fluid or antifreeze can also be used to melt snow from around the tires to find better footing below. 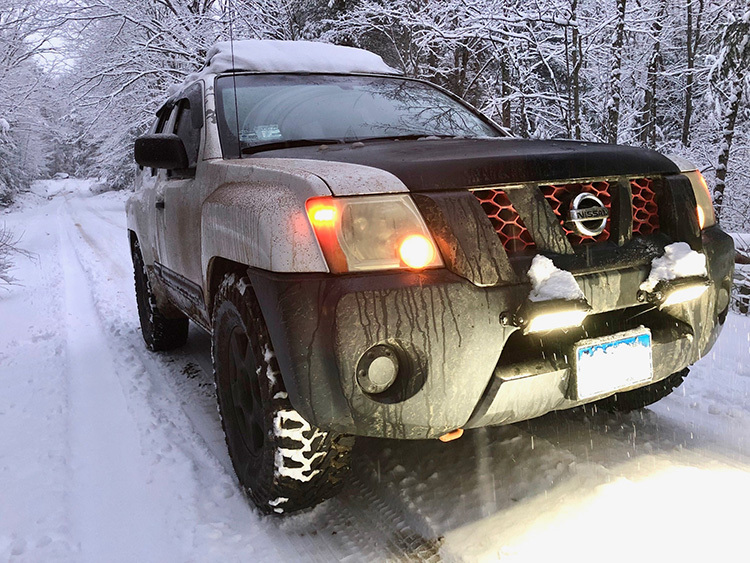 • If you have drifted into a snowbank, be sure the tailpipe is not buried in the snow, or exhaust fumes could enter the truck.